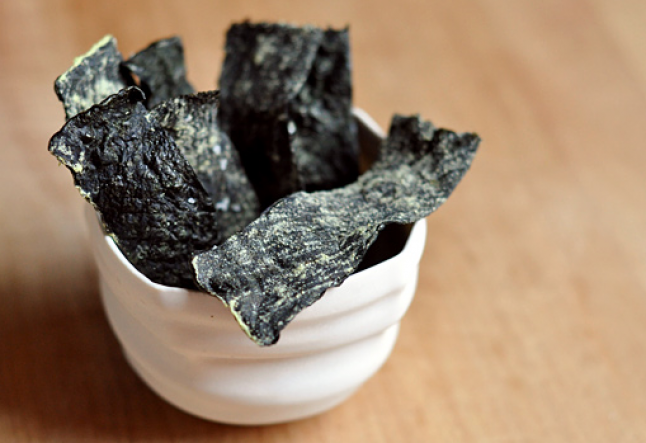 Light, crispy and full of flavor, these nori-based snacks are perfect for the entire family! Prepare the sauce by mixing all ingredients into a mixing bowl. Place the nori sheets onto trays lined flex sheets of your dehydrator. Brush the sauce over all of nori sheets. Spread the finely cut scallions on top of the brushed sauced on top of the nori. Place into your Dehydrator until crispy. Once crisp, these tingling textured treats are ready to eat! Keep in a Ziploc bag or a glass container in your freezer for good storage if you don’t eat them all at once!